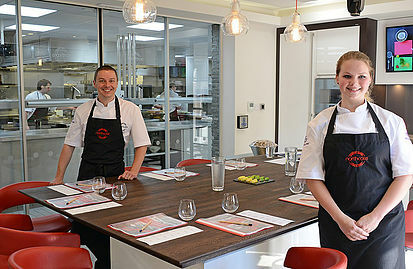 Ever wanted to learn cooking techniques from highly qualified chefs or are you just looking for a fun experience, the following cookery classes located across the Ribble Valley give you the opportunity. Northcote Cookery School: Northcote’s obsession with food is replicated in their desire to teach, the award winning restaurant owned and operated by leading chef Nigel Howarth offers you the chance to learn from the very best. Exchange Coffee: An experience for coffee lovers as the experts at exchange coffee offer the opportunity for you to understand the process of coffee making. La Locanda: Award winning chef Maurizio Bocchi offers you the chance to have an amazing one on one cooking experience and learn what makes him and his restaurant one of the most talked about in the country.